Emma Eames. American opera singer. Home » Emma Eames. American opera singer. Emma Hayden Eames (1865 – 1952) was an American opera singer (soprano) and vocal pedagogue. Emma Eames was the daughter of a lawyer working on international courts. She studied in Boston for four years and then went to Paris to study with Mathilde Marchesi. Eames was a lyrical soprano and she was admired mainly for her beauty and grace as well as for her singing technique and the dramatic expressiveness of her voice. 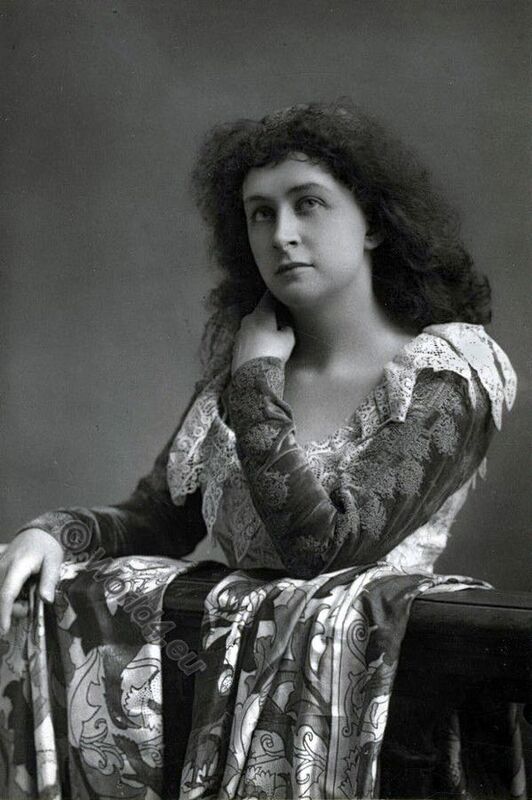 Emma Eames left the Paris Opéra in 1891 due to some intrigues involving the Australian opera singer Nellie Melba and she went to the New York Metropolitan Opera to sing the Juliette. At the “Met”, she became one of the leading members of the ensemble, and she performed there until the year 1909 in a total of 440 performances. During this time she also often appeared in London. In 1916 she finally left the stage. From 1936 she lived in New York, where she gave singing lessons. Here she died, 86 years old, on 13 June 1952. Source: “Cabinet Portrait Gallery” issued as five volumes from 1890-1894 by the photography studio of William & Daniel Downey (known as the ‘Queen’s Photographer’). Published by Cassell & Co. London 1893. This entry was posted in 1890, 19th Century, North America, Opera and tagged Artist, Cabinet Portrait Gallery, Portrait, Victorian fashion on 6/9/17 by world4.